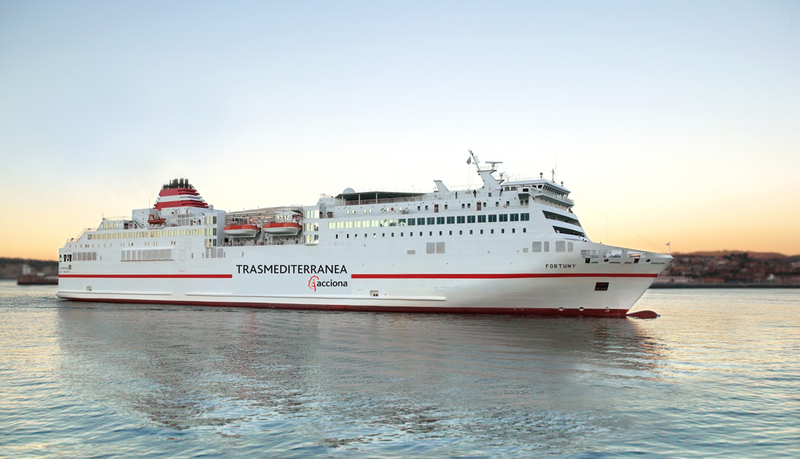 Founded in 1917, TRASMEDITERRANEA is the main shipping company in Spain and one of the largest in Europe with more than 20 passenger and cargo ships that connect throughout the year the main ports of the Peninsula with the Balearic and the Canary Islands, with the autonomous cities of Ceuta and Melilla, and with the North of Africa. 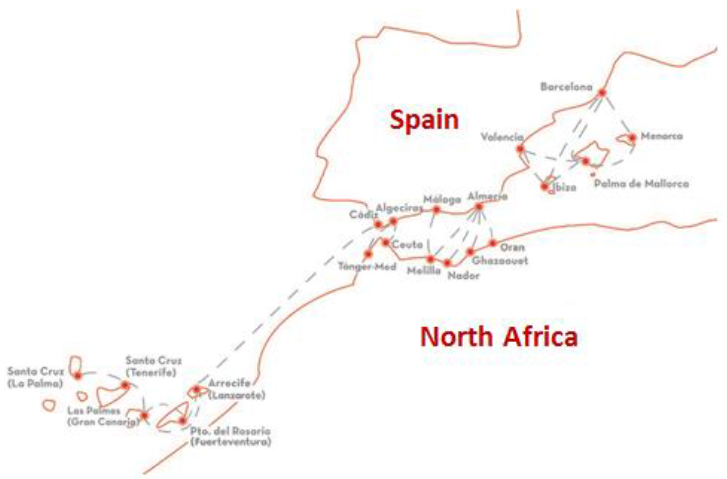 Trasmediterranea was acquired by ACCIONA in 2002, one of the foremost Spanish business corporations, leader in the development and management of infrastructure, renewable energy, water and services. North Africa: Tanger, Orán, Ghazaouet and Nador.